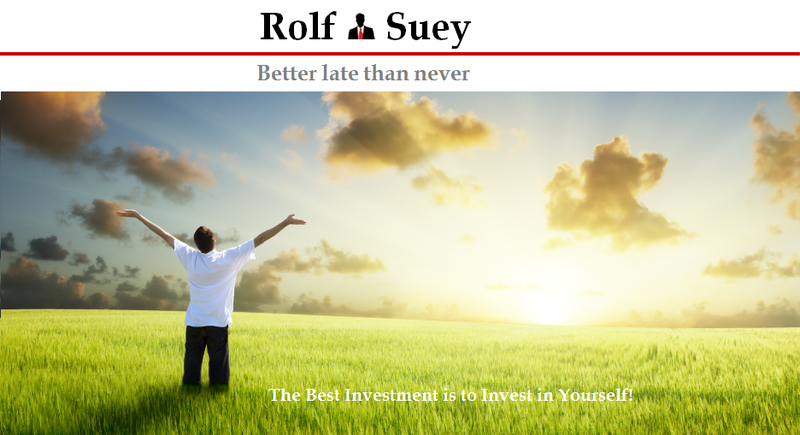 Rolf Suey - Better Late Than Never: Is now the right time to dive into Oil and Gas stocks? Let’s hear from market sentiments! Oil price has climbed from a low of $30 per barrel early this year to $40 now. It is a more than 30% rise and share prices of Keppel Corp and Sembcorp have climbed in quite a similar fashion. “Has oil price bottomed out? Is now the right time to dive into Oil and Gas shares? Bad sentiments – good time for entry? I was in Kuala Lumpur this week to visit clients and also to attend the bi-annual Offshore Technology Centre “OTC” exhibition. The exhibition is buzzing with more than 15,000 delegates and trade visitors and close to 18,000 registrants from over 80 countries. For me, I met so many familiar faces from the industry as well as new faces as young as fresh graduates. It was great! Many mentioned that the exhibition was so busy because people just do not have much work to do. Others said that this is best time for people who already sense that they are on the brink of losing their jobs to bring along their CVs and distribute to potential employers. Needless to say, everyone commented that O&G business is very bad! This is in contrast to one year ago when many are still feeling a bit of indifferent and hopeful despite that oil price already began the plunge in 3Q2014. So…when sentiments are already this bad, meaning a sign of entry to O&G stocks? In contrast, when everybody is talking how good the industry is, typically it is the time to sell! From Keppel, I heard that business is bad but they are actively diversifying into other sectors for the long term. How about the share price I asked. A Keppel staff who had been in the in the company for more than a decade said, it is unlikely that for a long time that share price will go back to the hay days of above $10! As for jobs retrenchments, I have not heard anyone I know in Keppel who is retrenched. I was told that till now, axing is mostly laid on contract staffs and most overseas staffs. Earlier this month, Petronas also announced restructuring that will affect under 1,000 jobs. Malaysian Prime Minister Najib who also attended the inaugural OTC show and added some confidence saying that Petronas is still very strong and going to do well. Refer to article here. Yet, I heard from rumours that Petronas is actually slashing more jobs than the media has reported in order to protect the state-owned company’s image. Far away in Brazil and Mexico, Petrobras and PEMEX respectively are also still in situation of disarray with billions of losses announced coupled with massive debts! Many suppliers claimed that they already stopped receiving payments from these oil majors. While it appears that there is some good news that PEMEX has a new CEO lately and promise to reorganize and start clearing bills, it will normally take a while for a new chief to settle down and exert his influence. For major EPC contractors, such as Malaysia listed Sapurakencana and Bumi Armada, International players such as Technip, Saipem, Subsea 7, McDermott etc, backlog orders are drying up. What I heard is for most of these companies, contract staffs are hearing no confirmation of contracts extension. Even many permanent staffs are unsure of their employment future! Morale is low, but still busy with work though as of now. Malaysia’s Bumi Armada, Keppel's client for FPSO conversion projects isn’t doing that good. Bumi is embroiled in a legal suit with Australian Woodside’s Petroleum subsidiary company for the termination of her FPSO contract. To offset the bad news, Bumi had recently appointed a new CEO having without a permanent one already for more than a year now. SapuraKencana is said to have many offshore construction and pipelay vessels with no firm jobs next year. The common term of warm stacked is used, meaning vessels being lay up with no jobs and with few crews onboard. Singapore listed Swiber are still having lots of backlog jobs particularly in India, and anticipating more to comes! Nonetheless it was rumoured from the industry that these jobs were awarded at an extremely low price with marginal or no profits? Despite the huge number of jobs for Swiber, the thorny problem is the huge debt problem she is facing and staffs being overloaded with duties leading to inefficiency. Likewise Ezra/EMAS is also seeing jobs but she too, is struggling with high leverage problems having to repay massive debts. EMAS had already let go many expat staffs and are aggressively cutting cost. However, it seems like they had possibly received a lifeline when Japanese company Chioyada bought a stake into the company. If Oil companies and EPC contractors are doing badly, indirectly it means that OSV companies who depend on the former for jobs, will fared badly if not worst! OSV companies in Singapore includes the likes of Pacific Radiance, Nam Cheong, Marco Polo, POSH, Falcon Energy etc will all still be facing some tough times ahead. More worrying for Singapore is McDermott, Subsea 7 and Technip who used to have sizeable operations in Singapore are all almost entirely shutting their operations here and relocating to KL. This is definitely bad for Singapore as many lament that Singapore is really getting ridiculously expensive for expats. Having been to Perth, Netherlands, Kuala Lumpur and Singapore in the last month or so, I think this is genuinely true, especially when it comes to goods and services that are more catered for expats – not hawker food nor HDB though which is still very affordable. If you ask me if oil price has already bottomed out, I seriously don’t know and will not predict! What I know is compare to last year, this is definitely a better time for entry into O&G stocks. Overall, I still think that oil price at $30 or even $40 is seriously not sustainable in the longer term. That said, while oil price directly impact Oil companies’ revenue and have a faster effect to her top and bottom lines, this is not the same for companies further down the supply chain. Even if oil price increases, Oil companies still need time to invest, and it is going to take time before new projects will be seen. This means many companies will see fundamental problems of lack of revenue and thinner margins. The recent rebound of share prices in tandem to oil price is supposedly just market reaction. Market in the short term at most times does not care about the fundamentals. So if you think that just because the Oil and Gas companies’ share prices have rebounded in the last two weeks, the companies are going to report strong figures in coming quarters? Then I will beg to differ. I suspect, in terms of company performance, the worst have yet to come. Many people I know are still having their jobs intact having to finish the backlog project in 2016 and early 2017. The sentiments are not exactly that bad yet! I believe beginning or mid of 2017 should be the time with most pain felt! And since there is normally a lag in share pricing relative to company’s fundamentals with pessimism or optimism embedded into the share price, if I really need to predict when to invest into Oil and Gas stocks, I will think that it is better to wait until the end of this year or early next year before we have better visibility to make the correct decision. I could be wrong! I guess I am not so influential. It is likely Good Friday itself or the day after it, which are supposed to be blue! Ok, today is Easter, a much happier resurrection day! Since I am in the industry, I seriously hope to see the Sun after the rain soon! Pray Pray Pray! while the fed has been delaying the rate hike, the 'hot' money has been flowing from one place to another. this is the time for short time plays. I just got out of energy play the week before. didn't earn all of it. but did get some. and this is what everyone should be doing for the forseeable future, i feel. Indeed the volatility in O&G is an appropriate time for smart traders to work their magic. That said, even for long term investors, making entry now is still not too bad a time as well, compared to a year back. Afterall, we cannot tell when/where is the bottom. Or do we? Hi Rolf, Thanks for your "insider information" to the oil and gas industry. There goes my chances of jumping into the oil and gas industry from another resource based industry. I've got a "newbie" question regarding the oil and gas companies. I was hopping you are able to enlighten me. It is regarding the reserve replacement. With the current prices, are the oil companies drilling to replace their reserves? i got a question too. Thanks for dropping by. News and info are just news and info. In the short run, market does not really care! Therefore, you can still ride in and out and profit from the up and down cycle like SMK mentioned. Or I also mentioned that now is still not a bad time for entry compared to last year and before, except that selection of stocks have to be more careful. Reserve replacement? To be honest, I am newbie on this topic as well! Hope you can pardon me with the answers then which I will try to answer to the best of our imagination. I reckon, oil companies still require to drill and produce for reserve replacement, but with the oil price this depressed, the whole process will definitely slow down and likely they will also looking for other means such as LNG and oil sands etc to contribute to the reserves. Frankly, cheap oil is more and more difficult to find for many Oil companies, hence the cost of producing oil or reserves for this matters, is going to be much higher than the $30-40 mark they are selling. And reserve oil has to be of good quality. Furthermore how accurate the reserves Figure Company published, we also have to ponder. This is my humble opinion. Still, I have confident in the industry over long term, just need to fine-tune the right time to enter for a cyclical industry, I think. Rolf, I really hope there will be another buying opportunity to buy companies like Royal Dutch Shell and Exxon. Buying oil companies which is directly at the top of the chain sounds like a better choice if the time/price is right. They will have more control compares to those below the supply chain. hot stacked , and plenty are cold stack and some even scrapped! on the topic of jack-ups (JU).. there are many of them approaching their 5 year inspection. which coincides with the last construction boom. i understand, some of them spend up to 30mil to keep it in class (depending on region/sector). in this climate, there are not many rig owners willing to do so. O&G is afterall cyclical. When times is good, everyone rush in, vice versa. It is also partly affected by interest rate where the cost of financing is cheaper in the past few years allowing many newbuilds. 5-7 years is a business cycle. In some cases Keppel do co-own the assets even after delivery. Not sure these Pemex ones! Now since the industry is already getting so bad, no point fretting over it anymore. In fact all the preparation is better to perform during early stage. Being slightly paranoid during end 2014, I kind of already mentally tuned to see the worst. Whether it happens or not, it's another thing. For now, the most appropriate thing to do now is just do our job and don't think so much. Hope this crisis will come to an end soon! Best of luck to you.